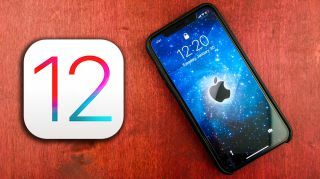 Many apple users are excited to try out the features of newly released IOS 12. With the new update, Apple boasts a lot of new features. Including a group facetime, which will allow up to 32 people to video chat together simultaneously. “The feature I am looking forward to the most with IOS 12 is the group facetime feature. It seems like something they have been missing,” junior Adam Thomason said. The much hyped IOS update released in September. The update will feature an update to the animoji feature, allow users to add shapes to their photos or videos, and parental controls to help parents control their kids screen time. “The screen time feature will really help parents to limit their kids screen time. Technology has taken over the world and kids are spending less and less time outside and doing things in real life. I feel like this will help combat that,” junior Emma Hayden said. The new update is available on all iPhones that are the 5s or later models, iPad air 2 or later models, and the sixth generation iPod touch. “Thankfully I recently got a new iPhone so I won’t have to worry about upgrading my phone, but for some people, who are forced to upgrade, they are in a tough spot,” junior Blake Ebner said. In addition, as with any software update, they will be increasing the speed of everything, whether it is the keyboard responsiveness, app launch times, or a faster swipe up to the camera, all of their times are getting slashed significantly.